Happy Monday! I hope you all had a fabulous weekend. I spent most of my Saturday working – stocking up on posts like THE EDIT for when I head to Japan in just under three weeks! I want to make sure I have my posts ready to go in case of any WiFi mishaps or any other problems that may arise with technology once I get over there. Yesterday though, I had the BEST day! It started innocent enough: a decadent brunch with my friend Mallory, which turned into a pumpkin shandy at the TruckYard, followed by the movie Sully, finishing with a delicious dinner at my fave neighborhood spot, Little Katana. Might be the best Sunday Funday I’ve ever had! Definitely makes it a little bit harder to adjust on Monday, am I right? I’m really, truly sad I can’t link to the sweater I’m wearing anymore. It sold out about a week ago and hasn’t come back in stock! It’s literally the softest thing I own (aside from this new cardigan I picked up last week), and I’m just dying for it to be restocked. Not only so I can link to it for you, but also so it can be created in another color (hopefully white!!!). I’ve sung my praises on the knot-front tee before, and this one is no exception. The knot-front style is just an easy, throw-on-and-go option for when you want to look chic and together without actually having to put ANY effort into your appearance. It makes getting dressed a piece of cake! 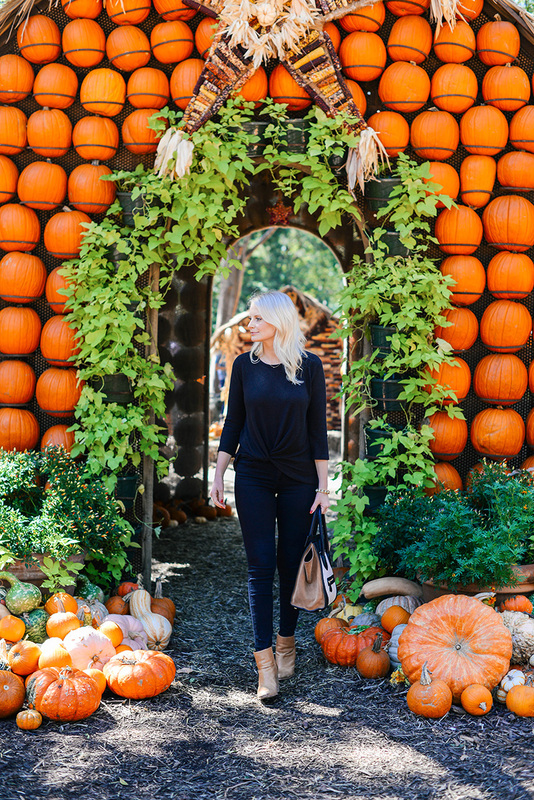 This long-sleeve black tee is under $100 and looks just like the one above! This easy tank comes in three solid neutrals and is only $70 – looks great under blazers and jackets! This Enza Costa side-knot tee looks incredibly cozy. Perfect weekend top! I also have this plain white tee – the twist detail takes my go-to tee and jeans outfits up a notch. If you love an athleisure look, this twisty turn tee is a great topper for post workout errands. It also comes in a tank style! Loving this neutral look, so cute! Such a simple and neutral outfit but so gorgeous! I do love that sweater! The tie-knot is so cute! The little knot detail on the sweater is so great. It keeps it interesting while still remaining a closet classic. Oh I LOVE this! That pop of neutral from your accessories is just perfect! What a cute top! 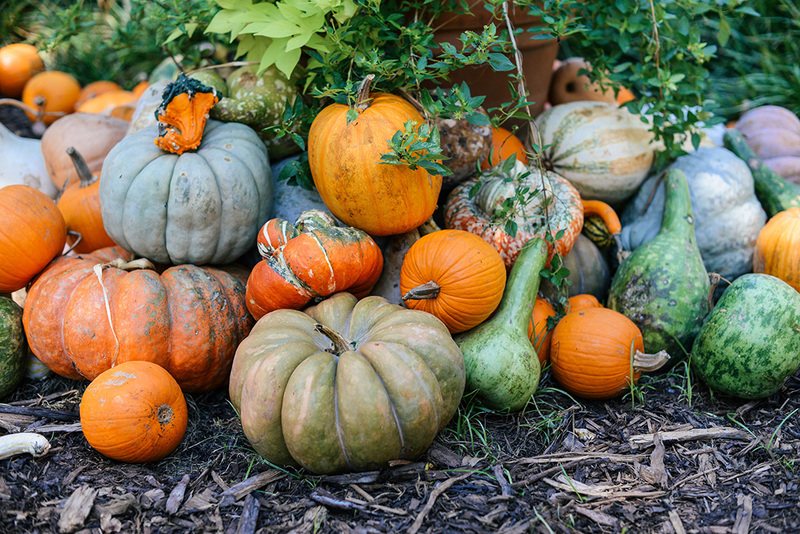 Love these fall photos, M.
Omg where is this pumpkin patch?! These photos are adorable! That handbag is beautiful. I love mixing black and brown like that. Such a good staple piece! YES to this look. I want to recreate it ASAP! 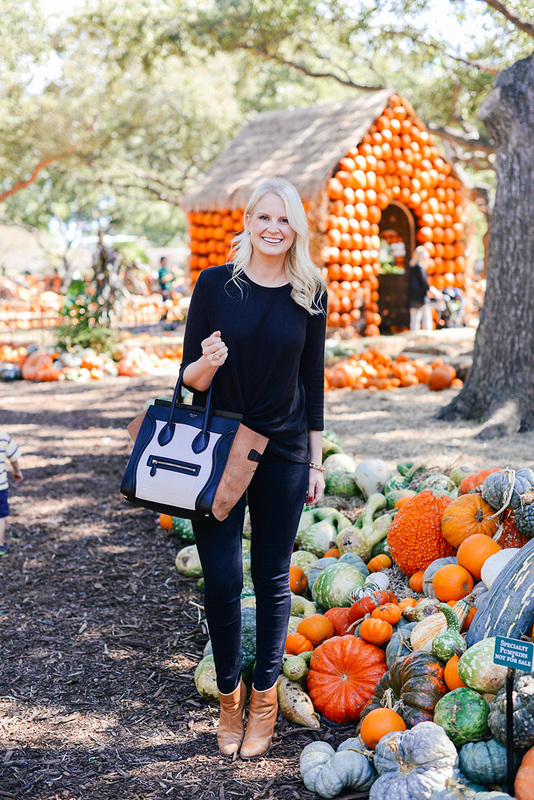 This is such a perfect fall bag! Love basics with a twist, this top is too cute!! Love this fall look! Happy Monday, lady! Ok, well we are definitely on the same wavelength with our posts today. 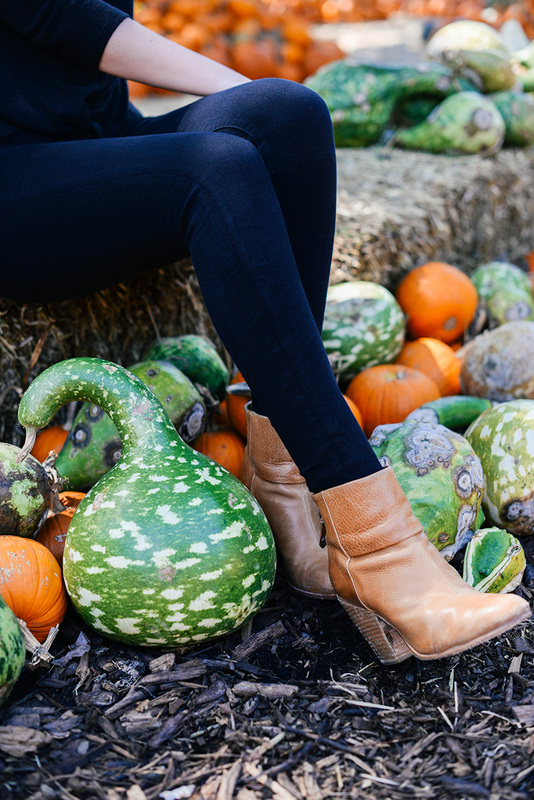 Your pumpkin patch is way more interesting than the one I was at:) Your look is perfectly sleek & feminine and appropriately casual for walking around in grass & dirt. Love that sweater! I’m so glad to hear you had a wonderful Sunday, Merritt. It sounds perfectly relaxing. Omg that pumpkin house! Too freaking cute! Also, I love your knotted front tee! I just got one like it from Banana Republic! I love this outfit and these fun photos! Black and tan is always one of my favorite combinations, and the knot detail is so nice. Sounds like a great Sunday! I cant not get enough of that purse! so gorgeous!